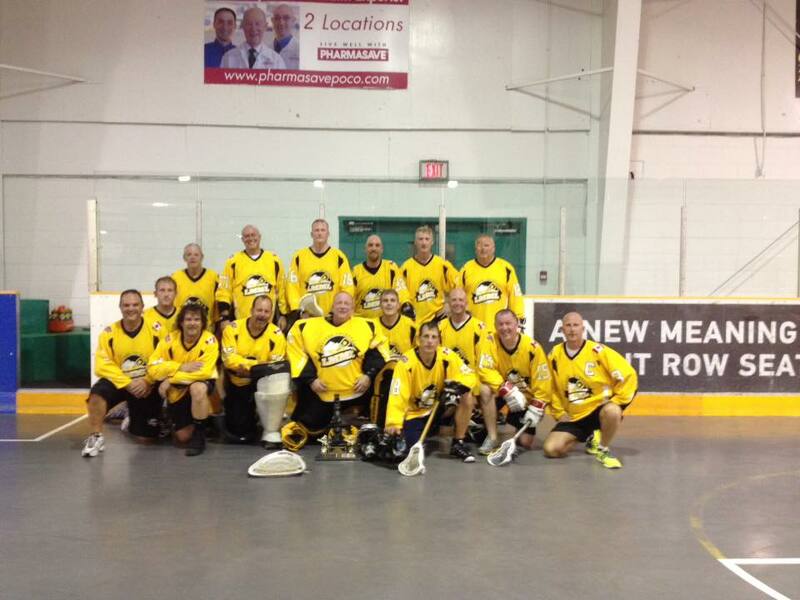 Contact Steve Varley of the North Shore Cowboys to enter a team. PLAYERS MUST BE BCLA REGISTERED (LMML & LEC players are already carded) – Contact BCLA (info@bclacrosse.com) or Commissioner Selezinka (bettyselezinka44@gmail.com) for registration cards. TOURNEY FEE – $750 due Feb 29. Send cheque to: S.Varley, 1525 Coal Harbour Quay, Vancouver V6G 3E7. Registration Fee is non-refundable. Div Winners – Receive cooler filled with chilled bevs with awards for MVPs, MSPs + coveted Toilet Seat Award and more! The 2015 Winter season of the Lower Mainland Master Lacrosse League is starting November 1st at the new location of the Langley Events Center. Games will be played in behind the arena at the Field House featuring a new turf field. Teams have been selected and can be found on the 2015 Winter Team page. Game nights are Nov.1, Nov. 8, Nov. 22, Nov. 29, Dec. 6, Dec. 13, Dec. 20, Jan. 10, Jan.17, Jan. 24, Jan. 31, Feb. 7, with the Finals being played Saturday February 13 in the afternoon. 9:00p, aside from the Finals (Saturday Feb. 13). held at the Stealth Game February 20. Best of luck to all players and enjoy the new LMML season. The final games were played last weekend and the Gold medal was handed to the Yellow team after a stunning defeat of the Blue team. In the Bronze medal game it was Red who took the lead in a close battle and finished off Green in the final frame.